For people with parents who live on their own or seniors living away from their kids, Evermind is a system that can give both of you the peace of mind you deserve. It’s a straightforward home monitoring system that allows you to monitor your parent’s basic daily activities through sensors. Because this product was invented out of need, it takes a senior’s daily routine into consideration and allows you to check on them wherever you are. An Evermind system comes with three sensors. Each sensor should be plugged between a specific electronic appliance – such as a lamp, television or electric stove – and a power outlet. These sensors are equipped with cellular radios that send a signal each time any of those appliances are turned on or off. That’s why there’s not need to for Wi-Fi or a smartphone for these sensors to work – which is great, considering a lot of elderly do not approve of those technologies. Even if they do approve, using them can be confusing. There are 3 ways to check on the data that the sensors gathered. Before you can access the other two, you have to log in to the Evemind.us site first. There you will have to register the sensors using a code, then you will be to access the information that the sensors have been collating for you. You can now also add your mobile phone number and emails to get notifications of your parent’s activities throughout the day. You can opt to only be notified through one or both avenues. Every day you will get alerts telling you what time your parent turned the lamp on and when he turned it off. The same goes for the other two appliances that are plugged to the sensors. You can easily modify the notifications to be as detailed – giving you alerts each time anything is turned on or off – or as selective as you want – like only alerting you at specific times of the day. Unlike other home monitoring systems available on the market, this so easy to set up. In fact, any senior – even those with very little knowledge and experience with electronics – can install this. Simply plug the appliance to the sensor, then plug the sensor to the outlet. Seniors don’t need to worry about having their kids come over to set this up, and you don’t have to worry about the sensor not working. The moment it’s plugged, it will start transmitting data through the cellular radio. Any appliance plugged to the sensor can be monitored, so you can customize the sensors to observe appliances that your parents often use – such as lamps in the study, television, air conditioning and coffee maker. Based on this, you can figure out what time they wake up, make coffee, stay in living area or go to sleep. The efficiency of the sensors can be exponentially raised based on how well you know your parents and how much they stick to their daily schedules. It’s never a good idea to install systems that are too complex for a senior to maintain. It’s not just because most elderly would veer away from technology, but also because it defeats the purpose of making their independent lives easier. Constant monitoring is an additional stress to their day. 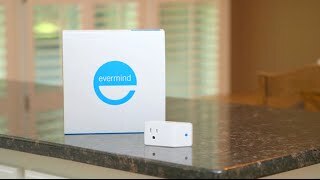 Evermind gets an A for ease of maintenance because it does not require them to maintain a Wi-Fi or broadband. It’s not as complicated as a smartphone, and they don’t need to charge the sensors. They’re already plugged. That means that after the sensors are set-up, not further interaction is needed. If you’re the type to worry about your parents all the time, then Evermind can curb that stress a lot just by the constant notifications you will get about their activities throughout the day. Each time they turn on a particular appliance you can be notified, depending on how you set it up. At least, you will know if they’re up, if they had their morning coffee, how long their sleeping and all their other activities throughout the day. These alerts can either be emailed or texted to you. You can also visit their site to look at the statistics of that the sensors have collated. It shows you what time they typically turn their lamps one, use the coffeemaker, use the electric stove, use the TV and so on. After a month, you will have a good idea of their routine, so if something’s off, you’d instantly notice. Evermind is a really good product, so there are very few disadvantages. Even those are just points for improvement if you’re knit picking. For example, their sensors need to monitor more activities, like when seniors open the door to head out or when they check the medicine cabinet. That way, you get more information that could be pertinent to your worries. Sure, for some people, that may seem like too many private activities is monitored. However, for parents and their worried children, this is often justified. The other thing is Evermind’s lack of a mobile app. If you want to see the full report of your parent’s daily routine, you have to log in to your account on their site. The alternative is the daily alerts you get via text or email, but none of them are collated. 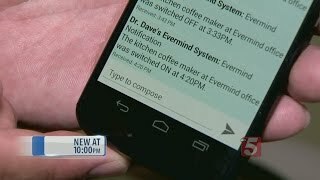 An app would make Evermind so much more accessible and easy to monitor. What do I think about Evermind? Generally, I think that the product is a great investment if you’re often worried about the wellbeing of your parents – especially if they’re often sick. I assessed this product based on 3 standards: functionality, affordability and ease of use. For functionality, I give it a 9. On all its basic and promised features, it delivers. However, it does not cover other activities – such as going out or eating – that you would want to monitor. It’s also not the most affordable product on the market, but for the amount of monitoring it offers, it’s reasonable. Based on that, I’m giving it another 9. Lastly, for ease of use, it deserves a perfect score. It’s easy to install and maintain. You don’t have to charge it, and it requires no constant checking on the part of the seniors. Overall, for a home monitoring system, I give it a 9 because it is already a good quality product that will surely improve as new models are introduced. Football fan, mother of 3, drummer, Vignelli fan and books lover. 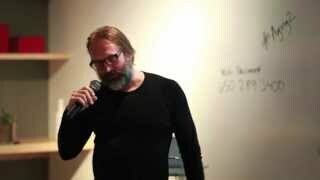 Operating at the junction of art and elegance to create not just an article, but a feeling.